Microsoft has pleased many of the fans who were waiting for the next version of Windows with Windows 10. Windows 10 brings back the whole PC feel to PC and at the same time it is also the operating system that will be running on various different devices including laptops, tablets and phones around the world. We all know that Microsoft and Google are business rivals and they have their own products for similar categories. Where Google has Android for mobile operating system, Microsoft has Windows Phone and Windows 10. Google (which is now part of a new parent company Alphabet Inc.) is the world’s most used search engine and it also acts as a major traffic source for many websites across the web. Microsoft has its own search engine for users and they like to call it Bing. Bing is also a widely used search engine around the world, but it is not used as much as people use Google. But personally I prefer using Bing over Google for many reasons. It has lesser ads on search result pages and the homepage looks beautiful. The background images on the Bing.com homepage changes daily and they are some of the most splendid images you will find on the internet. They are so good looking that many times I found the urge to download them and set them as my Windows desktop wallpaper. But then downloading the image manually every day is not a clever thing to do. There has to be some automatic way, right? We found how to do this automatically every day. 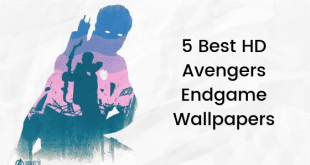 In this post, I am going to tell you how you can easily go ahead and Set Bing Background As Your Wallpaper automatically on Windows 10. Also, no, we are not going to run some crazy geeky script. This is a tutorial that even novices can easily follow. So, without any further ado, lets start. 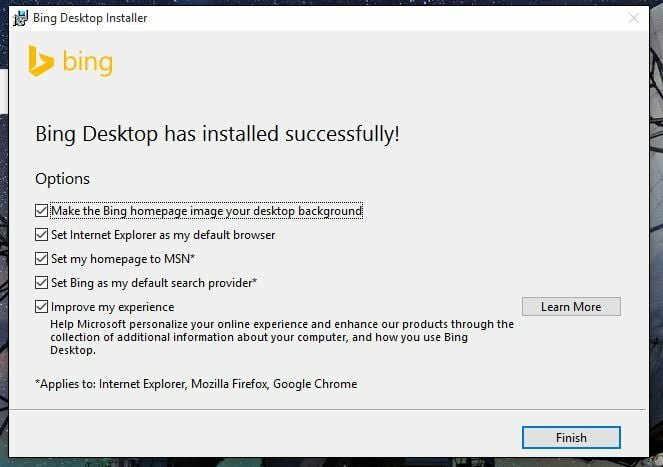 So let’s get right to the tutorial and tell you the easiest way so that you can Set Bing Background As Your Wallpaper automatically on Windows 10 daily. So, here we go. 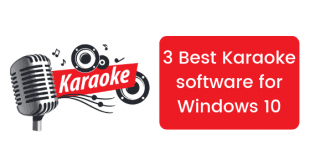 First of all you need to head over to the link we are going to mention and then you need to download and install it on your Windows PC – Bing Desktop. You can download and install this on a PC that is running on Windows XP, Vista, 7, 8, and Windows Server 2008 and 2012. 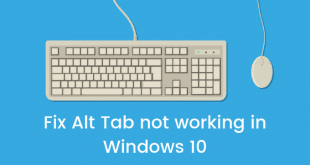 As you know this tutorial is for Windows 10 so it is obvious that this will also work without any flaw or glitch on Windows 10. This file will be a ~10 MB setup and after it is downloaded, you just need to double click the downloaded file in order to run it. After it finishes installing, it will run and you will be asked to set a few things. Take a look at the image below. After you have set the options properly, just click the Finish button. Make sure you have checked the first box that says Make the Bing homepage image your desktop background. After the setup is complete, you will see that the Desktop wallpaper has automatically changed for you as it did for me. Take a look at the image I have embedded below. 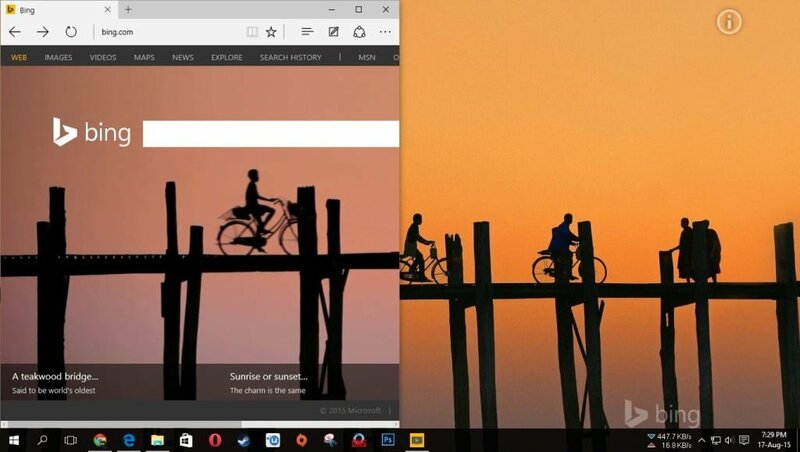 So this was a post in which we told you how you can easily Set Bing Background As Your Wallpaper automatically on Windows 10. Wasn’t this easy? If you have any doubts or questions, you can get them cleared in the comments section below.